Till now, only those belonging to upper castes including Brahmins, Kshatriya and Vaishyas, were ordained as Naga Sadhus. The Akhil Bhartiya Akhara Parishad (ABAP), the apex body of saints and seers has decided to ordain Dalits as Naga Sadhus. 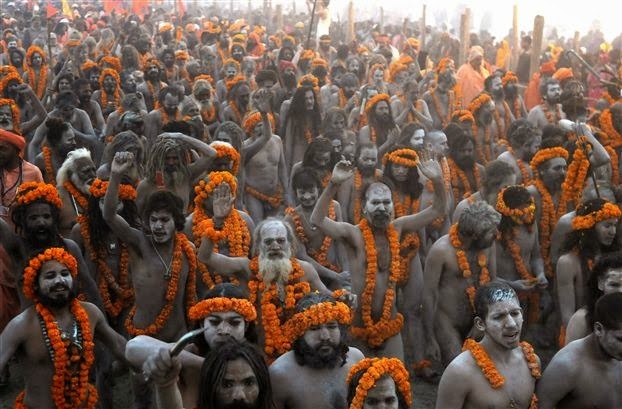 The ABAP will induct Dalits as Naga Sadhus in the Ardh Kumbh which is scheduled to be held in Allahabad in January-February 2019. The timing of this decision coincides with the general elections and is apparently designed to consolidate the BJP’s Dalit outreach. 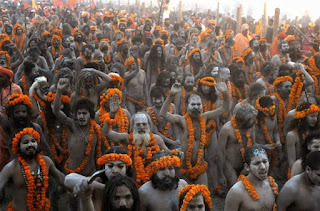 ABAP president Mahant Narendra Giri, who is also the head of the Niranjani Akhara confirmed that the ceremony for ordaining Dalits into the Naga cult will take place in the 2019 Ardh Kumbh. “It is going to be a historic moment and all the 13 major Akharas have agreed on this,” he said. Till now, only those belonging to upper castes including Brahmins, Kshatriya and Vaishyas, were ordained as Naga Sadhus. “If Dalits and members of other lower castes are willing to lead the difficult life of a Naga Sadhus, we have no problem in bringing them into the cult. In fact, this will put an end to caste divides,” he said.